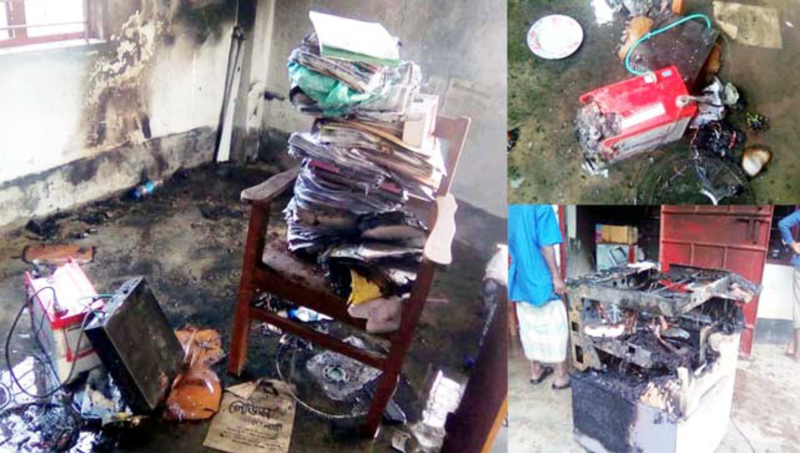 Sylhet Office : A union digital centre caught fire in Biswanath upazila on Friday afternoon. The fire ensued after a solar power battery went off inside the digital centre of Khajanchi union parishad around 4pm, its entrepreneur Masud Ahmed said. He said two laptops, a photocopier, a printer and a PC were damaged by the fire. However, locals extinguished the flame.